they're all so cool! I'm not a big fan of pink, but the cake one looks great. How on earth did you get the zen confetti looking like that????? great work. I struggle to get a single batch of soap to behave itself, so I'm a while off combining different batches together! 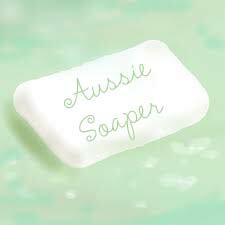 Oh Topcat lovely soap and that rose soap looks soooooo yummy and creamy I too have yet to try my hand at salt bars!!!!! They're all lovely but the Rose Soap Cake is superb.